Bring together a theme of beauty and style in a room of your home with this stunning lounge bombe chest. This chest is a perfect way to accent existing furniture or to compliment a complete overhaul and start fresh. 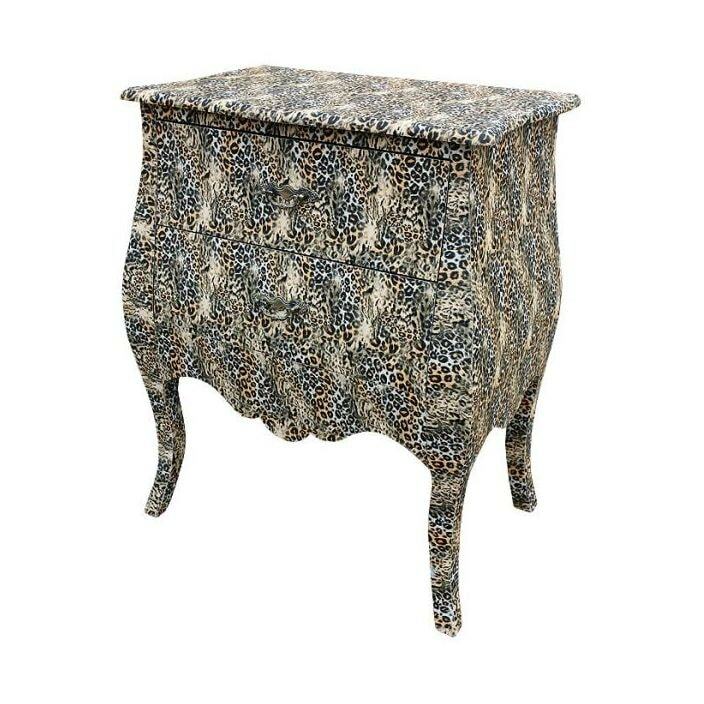 This chest, decorated in a striking lizard / leopard print is perfect to ad a touch of elegance in your wonderful home.